Debra was a Boston independent filmmaker before she picked up and left for NYU’s graduate film program. Her first short film there, “Snake Feed,” was accepted into the Sundance Labs, where she developed the concept into her first narrative feature, Down to the Bone, starring Vera Fermiga. From there, Debra and her creative partner Anne Rossellini developed a film based on Daniel Woodrell’s 2006 novel, Winter's Bone. The film was released in 2010 and tells the story of a girl who’s the sole caretaker of her family who must hunt down her missing father to avoid being kicked out of her house and losing everything. The girl was played by Jennifer Lawrence. Lawrence was nominated for an Academy Award, as was Debra’s film and screenplay. In 2018, she directed Leave No Trace, a story about a father with PTSD trying to raise his teen daughter off the grid when some well-meaning people intervene and change the course of their lives. Starring Ben Foster and newcomer Thomasin Mckenzie Harcourt, Leave No Trace has been on multiple Top Ten lists, and won Debra the Best Director award at the 2019 LAFCA awards ceremony. 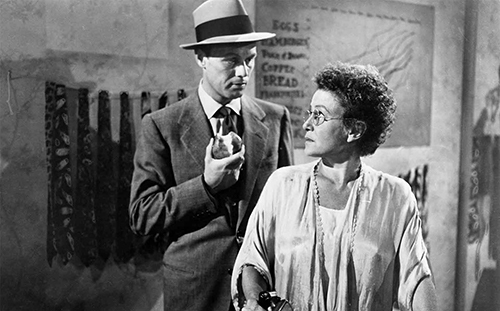 The film that Debra has chosen to discuss is Samuel Fuller's classic noir, Pickup on South Street. This is a personal favorite of Debra's and it becomes clear with how much appreciation and thought she has for the film. Debra discusses how she is able to create realistic dialogue for people who aren't from her "bougie, liberal" world. She talks about working with actress Dale Dickey, and why people love watching her on screen. Debra also elaborates on the use of guns in cinema, how we rely on them to tell stories, and how she is trying to "restore meaning to the woundable body." You can watch Leave No Trace on Amazon Prime. If you haven't seen it yet, go watch Pickup on South Street. With April Wolfe and Debra Granik. Debra Granik, wrote and directed the acclaimed 2010 film "Winter's Bone." The film was sort of a modern film noir, except instead of LA or New York, it was set in the Ozarks. It followed a 17-year-old girl as she pieced together the story behind her father's disappearance. Ree Dolly walked through burned out meth labs, negotiated with crime families, bail bondsmen and cops. And, of course: Ree Dolly was played by Jennifer Lawrence. It was her first ever starring role. After 8 years, Granik just released her follow up - it's called "Leave No Trace," which is available to stream on Amazon now. Like "Winter's Bone," her new film "Leave No Trace" puts a compelling but compassionate focus on marginalized groups - one of the main threads is a combat veteran's struggle with trauma and homelessness. It tells the story of a father and daughter who live entirely off the grid in a nature reserve not far from Portland, Oregon. The film details regular life for Will (Ben Foster) and his daughter Tom (Thomasin McKenzie). They forage and cook mushrooms. Will teaches Tom to play chess. They build fires for warmth. The way they live is peaceful, but not exactly legal. They are discovered in the woods by the police and social workers get involved, offering housing, work, school. But as you might imagine, it's a tough transition – especially for Will. Debra Granik talks about the process of making her new film at length. Debra is also working on a film based on the book "Nickeled and Dimed," which is a thoroughly investigated, brilliant work of nonfiction about the impact of the 1996 welfare reform act on the working poor in the US. She'll tell us how she plans to turn that into a narrative film. Plus, she explain what she learned about film making from being wedding videographer long before she was a film director. 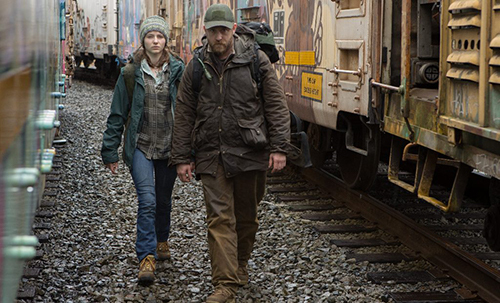 This week Ricky, Alonso, and Drea survive the survivalist drama, Leave No Trace. They discuss the thematic threads that are found in all of Debra Granik's work - from Down to the Bone to Winter's Bone to Leave No Trace. Plus, they get a call from the "Who Shotline" and answer the question "What movie best represents your hometown?" You know Ricky's got things to say about Chicago! And lastly, as always, staff picks. In news, half of Martin Scorcese's new movie The Irishman will feature a "youthified" Robert De Niro and Al Pacino, the world gets a glimpse at the Will Smith genie, and Sean Penn writes a love letter to Bradley Cooper. With Drea Clark, Alonso Duralde, and Ricky Carmona. Currently, there are about 700,000 people enrolled in the US Government's Deferred Action for Childhood Arrivals (DACA) program. Participants in the program are people who were brought into the US as kids without proper documentation. DACA allows them to stay, and offers them certain protections. Johan Miranda is one of the thousands of people that signed up when DACA was first introduced in 2012 under the Obama Administration. He came to the US when he was three from Peru. His parents traveled to the US on a Tourist Visa. When the Visa expired he and his parents stayed. His family started a new life in San Francisco. When he first started out in comedy a lot of his material was kinda observational - funny, but nothing with a super distinct voice or perspective. Which isn't unusual for a lot of new comics. But that changed in November of 2016, after the election. With a new administration, the residency status of the folks covered by DACA became uncertain. The new US elected president promised to implement some of the strictest immigration policies in history, and to repeal the DACA policy he was protected under. As you might expect it was at this point that Johan says he wasn't feeling to hot about the government having his fingerprints and information. But in a way, it's what gave him the courage to find his voice and be talk honestly during his stand-up routine. And it's really funny, of course! He'll talk about what it was like to finally get his driver's license after he was approved for DACA, and going to barber school only to find out he needed a social security number at the end of the program. We'll also learn about the material he was working on before the election – some unused material about the movie "Titanic" – get a preview of the bit, which he says might be working back into his set after this interview. If you're in LA this weekend you can check out his new one man show, "Why Johan Miranda Should Be Deported," this Friday, July 27 at the Lyric Hyperion Theatre & Cafe. Debra Granik, wrote and directed the acclaimed 2010 film "Winter's Bone." After 8 years, she's just released her follow up - it's called "Leave No Trace." "Winter's Bone" was sort of a modern film noir, except instead of LA or New York, it was set in the Ozarks. And instead of a fedora wearing gumshoe, it followed a 17 year old girl as she pieced together the story behind her father's disappearance. Ree Dolly walked through burned out meth labs, negotiated with crime families, bail bondsmen and cops. And, of course: Ree Dolly was played by Jennifer Lawrence. It was her first ever starring role. Like Winter's Bone, her new film "Leave No Trace" puts a compelling but compassionate focus on marginalized groups - one of the main threads is a combat veteran's struggle with trauma and homelessness. It tells the story of a father and daughter who live entirely off the grid in a nature reserve not far from Portland, Oregon. The film detail regular life for Will (Ben Foster) and his daughter Tom (Thomasin McKenzie, another new actor). They forage and cook mushrooms. Will teaches Tom to play chess. They build fires for warmth. The way they live is peaceful, but not exactly legal. They are discovered in the woods by the police and social workers get involved, offering housing, work, school. But as you might imagine, it's a tough transition – especially for Will. 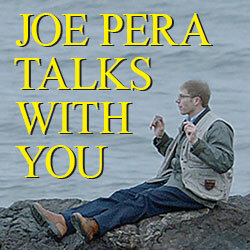 This week, Jesse tells us why the Adult Swim show "Joe Pera Talks With You," is a brilliant and funny guide to the world. The show's not for everyone. For one thing, it's not what you call laugh-out-loud hilarious – but despite the awkward, kinda strange tone, Pera makes you feel all warm and fuzzy inside. Check out this segment on YouTube!